In my previous blog , I talked about the Fundamentals of VMware SD-WAN technology by VeloCloud focusing on its architecture and use cases. In this blog, I will be discussing the design I used to connect NSX backed workloads across different Sites/Branches and Clouds using the VMware VeloCloud SD-WAN technology. 1. NSX-v lab living on Site A. It is backed by a vCenter, management and compute ESXI clusters. Workloads are Virtual Machines. 2. 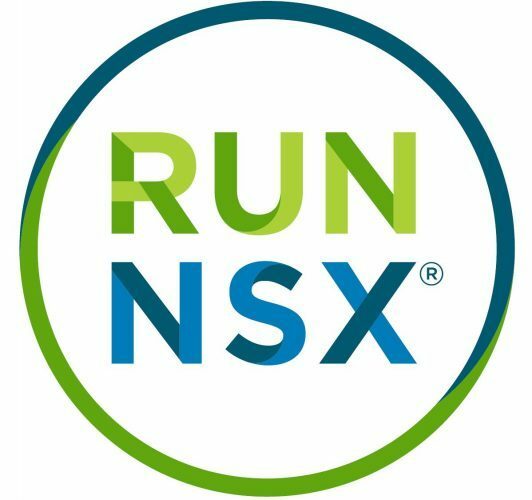 NSX-T lab, that is backed by a management and compute ESXI cluster in addition to a KVM cluster. Workloads are VMs along with Kurbenetes (K8) containers. 3. VMware Cloud on AWS SDDC instance with VC/ESXI/VMs. Because the SD-WAN technology is agnostic of the technology running in the Data Centers, you can add any cloud/Datacenter/Branch to the above mentioned list such as AWS native EC2s/ Azure/ GCP/ Baba or simply any private/public cloud workloads. Also note that NSX DataCenter is not a prerequisite to connect sites/branches using SD-WAN by VeloCloud. The above design is showcasing a small portion of the full picture design where I can connect “n” number of Sites/Branches/Clouds using SD-WAN technology. I started by connecting my site 1 in San Jose which happens to be backed by NSX-V with my other DC located in San-Fran backed by NSX-T.
Traffic egressing to the Internet/Non SD-WAN Traffic (Green) will go via the NSX ESG in case of NSX-V site and via the Tier-0 in case of the NSX-T site. Branch to Branch traffic (in Purple) will ingress/egress via the VeloCloud Edge VCE on each site. In the San Jose site, I Peered the NSX-V ESG with the VCE using e-BGP. I also already had i-BGP neighborshop between the NSX DLR and ESG. The transit boundary in Blue you see in the image below is established by deploying an NSX logical switch attached to NSX-V ESG , NSX-V DLR and the VCE. I redistributed routes learned via ibgp on the ESG to the VCE router using the ebgp. Now the VCE_SanJose knows about the subnets/workloads that are residing south of the DLR. I filtered the default originate that the ESG learned from its upstream from being distributed to VCE_SanJose as I dont want to advertise my default originate (default route) to other Branches/sites/Clouds. VM1–>DLR–>VCE–> Internet. (Note that the VCE could have multiple ISP Links or MPLS links that will leverage the Dynamic Multipath Protocol Optimization known as DMPO). VCE will build tunnels to a VMware VeloCloud hosted Gateways (VCGs) and to the Orchestrator (VCO). VeloCloud Gateways will be the VCEs distributed control plane and hence VCEs will learn about all other branches routes via the updates those VCGs send over. (refer to Image 1 to help you understand the path). Now that we are done configuring the San Jose site, lets go and Configure the San Francisco NSX-T data center. A new Tier-0 uplink will be connected to an NSX-T Geneve Logical Switch. This Transit logical switch will also be connected to one of the VCE’s interfaces as Downlink. On the NSX-T Tier-0 and VCE, we will build an e-BGP neighborship via the transit Logical Switch created. VCE will hence know about the routes being advertised from the Tier-0. Note in NSX-T, Tier-1 Auto plumb all routes towards the Tier-0. Now that the VCE knows about the San Francisco Routes, it will advertise them to the VCG that is again hosted somewhere on the internet by VMware VeloCloud. Note that the VCE could have multiple ISP Links or MPLS links that will leverage the Dynamic Multipath Protocol Optimization known as DMPO. VCE will build tunnels to a VMware VeloCloud hosted Gateways (VCGs) and to the Orchestrator (VCO). Gateways will be the VCEs control plane and hence VCEs will learn about all other branches routes via the VCG. Now San Jose and San Francisco workloads know how to reach each other via SD-WAN. The magic of SD-WAN is that we can add “n” number of sites with or without NSX and connect them via L3 seamlessly. For instance, I can connect 50 branches to those 2 DCs by deploying a VCE on each branch. We can also use the DMPO technology to improve the Quality of Service of the traffic destined to branches. Business policies can also be enforced using the VCE.